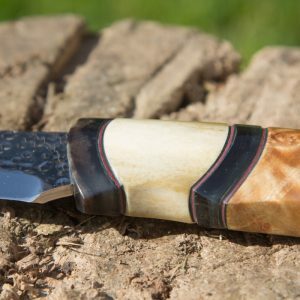 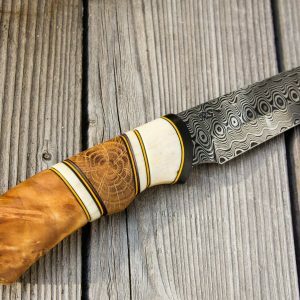 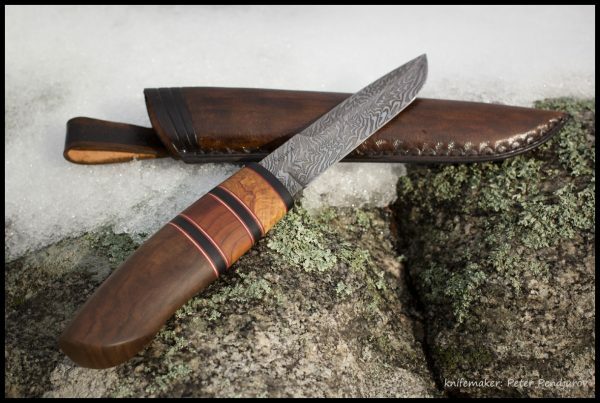 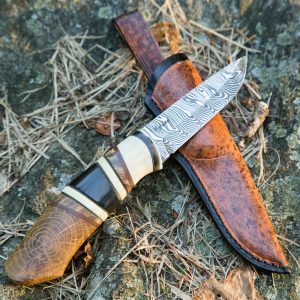 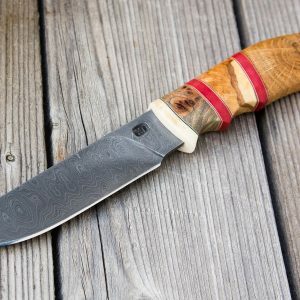 And this is another amazing blade from the Nylund brothers. 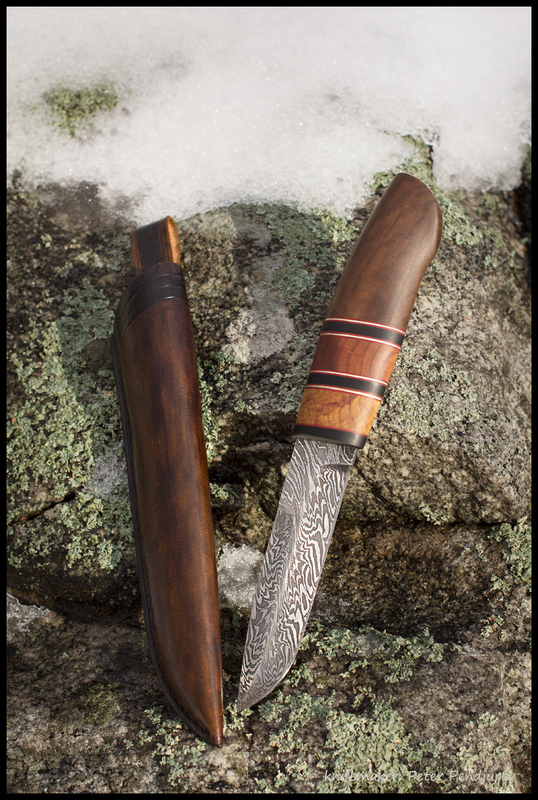 This time 110mm damascus. For the handle , I used three types of wood: Lilac (syringa), walnut and cherry. 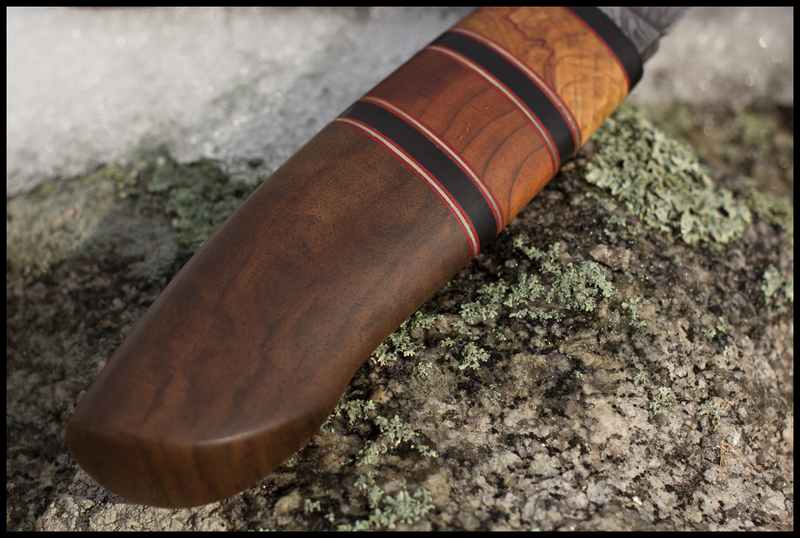 Black buffalo horn, red and brass spacers. 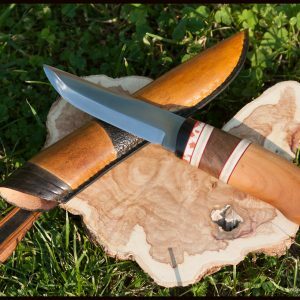 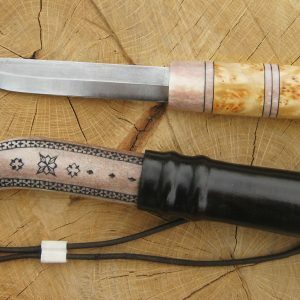 Dimensions: 255mm the knife with the sheath, 230mm just the knife.